Two friendly, juicy, aromatic peaches a day keep dark circles and wrinkles away. This symbol of longevity and immortality plays an important role in skincare. As a rich source of vitamins, minerals and antioxidants, beautiful, velvety, sweet peaches benefit your skin in various ways. From being good for dry skin to helping to ward off skin infections or protecting your skin from the harmful ultraviolet rays, this natural anti aging moisturizer is a great addition to your diet and skin care routine. Besides helping you to have a young looking skin, refreshing and nourish peaches are beneficial for your hair also, they are making your hair healthy and silky and protecting against hair loss. Sunscreen and sun-protective clothing are the best ways to protect against UV radiation from the sun, but new research suggests that ingestible sun protection can be a growing trend. It turns out that certain foods like peaches, which are loaded with Vitamin A, C and K, magnesium, potassium, selenium and beta carotene, can give your skin a sun protection by improving skin’s ability to protect itself. Whether it is winter or summer, no one wants irritable dry patches of chronically itchy skin, on the hands, face, neck or legs. Dry patches on skin are very common but also uncomfortable and unappealing to look at. 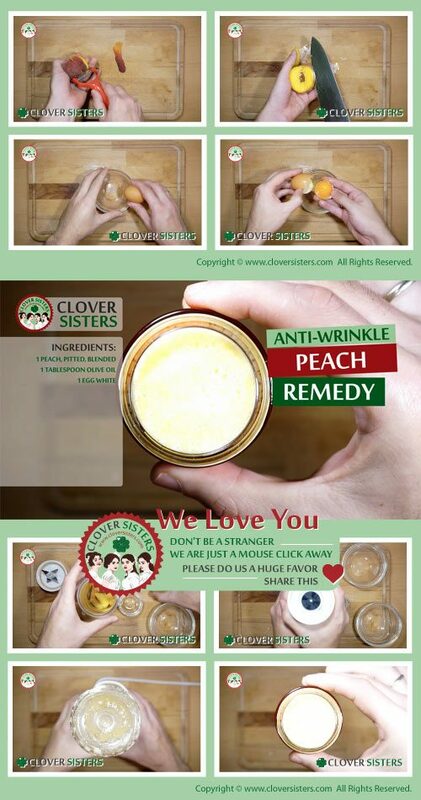 Peach is a great moisturizer and can help to regenerate your skin tissues. By rubbing peach juice on your dry skin patches, you are going to bring back its glow. We cannot be stopped age-related physical changes such as wrinkles or graying hair but with healthy diet we can slow down those changes. Micronutrients from peaches play a major role for the production of collagen, healthy aging and radiant skin. Blend 1 peach, 1 tablespoon of olive oil and 1 egg white and apply mixture three times a week on face and neck. Leave the mask on for about 15 minutes and then rinse it off with lukewarm water.